Drugs such as cocaine and heroine are difficult to stop after daily use for a month or longer. The longer the more difficult. But there are “legal” pharmaceutical drugs that are as difficult or worse, depending on the length of time one is placed on them by a physician or psychiatrist. It’s not unusual to be on one or more of those types of drugs for several months to several years. Those of you who frequent this site and other natural health sites are aware of the murders and suicides caused by psychiatric drugs. But changing the dose, lowering it, or stopping altogether can create symptoms that lead to homicide or suicide; or at least be too unbearable to break away from its addiction. The following video presentation by a medical professional and courtroom expert witness against drug companies, Dr. Peter Breggin, explains the industry’s crimes and the horrors involved by some who take them and those who try to stop taking them. The following common withdrawal symptoms from anti-depressants and other psychiatric pharmaceuticals is excerpted from Harvard Medical School. You may have nausea, vomiting, cramps, diarrhea, or loss of appetite. Blood vessel control. You may sweat excessively, flush, or find hot weather difficult to tolerate. Sleep changes. You may have trouble sleeping and unusual dreams or nightmares. Balance. You may become dizzy or lightheaded or feel like you don’t quite have your “sea legs” when walking. Control of movements. You may experience tremors, restless legs, uneven gait, and difficulty coordinating speech and chewing movements. Unwanted feelings. You may have mood swings or feel agitated, anxious, manic, depressed, irritable, or confused — even paranoid or suicidal. 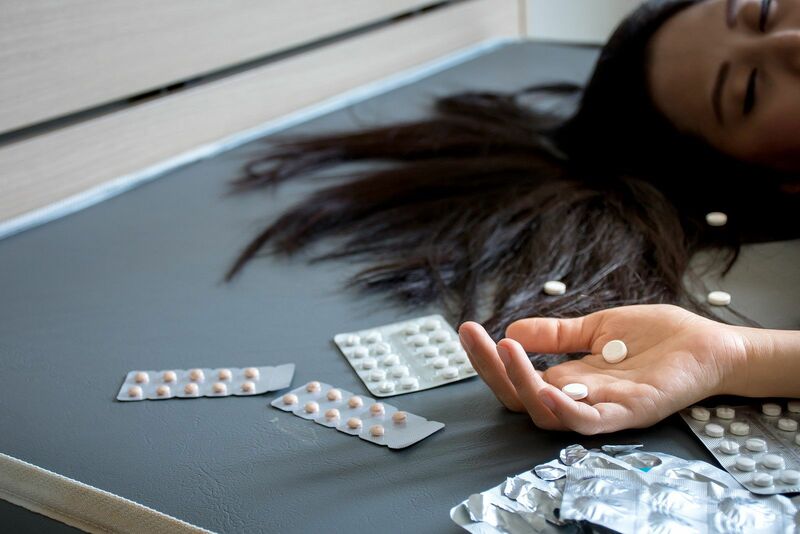 It’s common that most won’t get much if any help from the doctors who prescribed psychiatric drugs initially other than lowering dosage, which can exacerbate withdrawal symptoms, or using other psychotropic pharmaceutical drugs, which prolongs the addiction. Many are seeking to get off psychiatric pharmaceuticals. This is evidenced by numerous online support group chat sites. Their attempts often fail due to the difficulty of tapering off alone. They usually speak of “waves and windows” that can go on for years after getting off anti-depressants and other psychiatric drugs. Waves are surges of needing or craving the drug while overwhelmed with the symptoms that were supposedly held off with the drugs. Windows are lucid occasions of being free from disturbing thoughts and emotions. There are several options for getting more windows and less waves while tapering. What is considered one of the best go-it-alone guide by many is The Road Back – How to Get Off Psychoactive Drugs Safely, by James Harper. The program is reported to have helped over 50,000 people become drug free. Visit the website or order the book here. Cannabis has been used successfully in Maine, Massachusetts, and California, for helping people get off opioids. Medical cannabis works on many levels, both soothing the agony of withdrawal and ameliorating the symptoms that led to the drug addiction in the first place. Medical cannabis is considered the most comfortable way to resolve drug addictions. Find out more about using cannabis as an approach for tapering off harmful drugs from Dr. Dustin Sulak, founder and director of Integ8 Health Clinics – see more in this earlier Health Impact News article. Unfortunately not everyone lives in a medical marijuana legal state and then even those who have the good fortune of being in one of those states, sometimes can’t handle THC. Sometimes using cannabis suppositories bypasses the “high” that some cannot tolerate. But for those who don’t have access to medical marijuana and don’t want to risk involving themselves with “underground” sources, there are still other options. Government supported 12 step programs are proving not so effective, and completely and suddenly stopping psychiatric drugs that these programs demand is a bit too white-knuckle harsh for most. Recent estimates show only a five to ten percent success rate for all types of substance addictions. And these programs prohibit using cannabis to taper off. There is a kinder, gentler approach that is functional, and with less recidivism. Holistic drug rehab centers have facilities that offer accommodations that are more home-like. Some may approach the waves and windows roller coaster by teaching a meditation that enables one to “surf the waves” when they arise until they dissipate naturally rather than attempting to force them out. More on this here. One group, Transparent Corporation, offers an MP3 download that can be tried as a free trial for two weeks, without credit card information. This electronic application uses brain wave entrainment with the ability to adjust frequencies according to individual needs. There is something to be said of balancing neurochemistry, and pharmaceutical intervention is not usually the best answer. During the 1950s, Dr. Abram Hoffer began using mega-dose niacin to successfully treat schizophrenics. This nutritional approach for treating mental disorders evolved to the point where Nobel Laureate Linus Pauling coined the term, orthomolecular, which is derived from two Greek words meaning correct molecule. The correct molecules are determined according to individual needs with this practice. There is no one size fits all and constant one-up jockeying for patents since they are using only high dose supplements. This approach uses supplements in large doses to achieve the correct molecules needed in the brain and was lauded by Linus Pauling himself in this paper which summarizes the major treatment approaches. Of course, this approach was maligned and marginalized by the pharmaceutical industry indoctrinated psychiatric field. But it has a high rate of success. Here is the orthomelecular website where one can go to learn more and find practitioners. Currently, functional medicine practitioner and NY Times best selling author Dr. Mark Hyman, MD, is presenting a free documentary called “Broken Brain” January 17 – 25. Dr. Hyman is very big on nutrition as medicine. He says this series will feature several experts who will focus on different nutritional remedies for areas outside the brain that affect it. You’ve heard of the gut microbiome as the “second brain” right? That’s one example. Register online for this FREE event here.